If there’s one thing I’ve learned over the past decade it’s that alleviating ill health and healing are two very different things. I don’t feel like they’re diametrically opposed; but the former involves returning your body to a certain level of homeostasis; and the latter involves bringing your being to a state of wholeness— a state where your body, mind, and soul, are reacquainted with one another and your whole being feels in deep alignment with the universe. 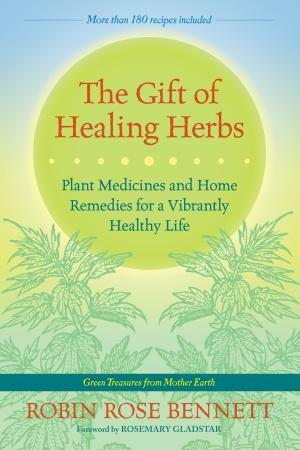 Robin Rose Bennett’s new (2014) book, The Gift of Healing Herbs (North Atlantic Books) reminds us that there are some very special and intentional ways in which we can heal. These include: forging close healing relationships with plants; embracing an intention-based approach to healing; and harnessing the power of story in order to help us reacquaint ourselves with our own true nature. Reading Bennett’s new book was a breath of fresh air for me; a welcome and powerful reminder that the origin of herbalism is in the plants themselves —something that is all too easy to forget in this world of double blind studies and clinical medicine. Throughout this book she gently reminds us of numerous ways to connect deeply and authentically with plants, how to nurture these profound relations, and ultimately appreciate the multiple levels of medicine they have to offer. As herbalists, one of the greatest tragedies we can experience is neglecting our relationships with plants. There is often an enormous emphasis placed on learning hard skills such as medicine making, diagnostic techniques, anatomy, physiology, and pathology to name a few. As a result, learning about the plants themselves through botany, plant ID, and most importantly forging deep authentic relationships with plant spirits often falls further and further down our long learning “to-do” list. However in my experience, the more we venture away from spending time with plants and getting to know their innate nature and personalities, the more our wild passion for herbalism begins to feel mundane. Plant beings are “whole people” – individual beings who are alive and radiant. In the Gift of Healing Herbs, Bennett reminds us to take into account their entire divine nature as part of their medicine. This involves getting to know them on multiple levels and engaging their medicine on each of these levels to help us to truly harness the power of herbal medicine. Developing this healing relationship with plants includes such things as spending time with the physical plant in meditation and visualizing their energy and medicine teachings; connecting with them through poetry and song; and preparing different types of herbal remedies, such as teas, tinctures, and kitchen recipes. Bennett provides us with many practical and useful ways to integrate these multiple forms of plant medicine into our daily routines so that the healing nature of plants becomes a part of our lives, and more importantly our souls. Even in the absence of ill health, there is often a general malaise that greatly affects our culture – one of dissatisfaction, misalignment, and inauthenticity. Yet conventional wisdom tells us we’re healthy so long as our physical health is devoid of illness, and our metal capacities allow us to function adequately in society. Bennett’s Gift of Healing Herbs offers a powerful and effective way of addressing this general malaise: harnessing the power of intention through the use of tools such as ritual, re-storying, and sacred life architecture. 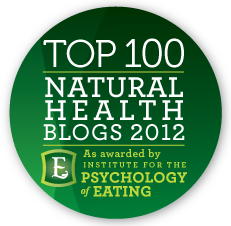 Unfortunately, the use of healing ritual is sorely neglected in today’s modern herb world. Yes, as herbalists and healers we embrace a multitude of integrative and increasingly complex tools; however simple practices such as ritual have the power to create astounding progress along our healing journey. Thankfully herbalists such as Robin Rose Bennett are stepping forward to lovingly and effectively remind us how to implement these simple yet effective rituals as part of our healing practices. Intention based healing practices such as these involve a certain level of vulnerability, surrender, and intention, all of which are important companions along the journey towards regaining true wholeness and radiance. Bennett’s The Gift of Healing Herbs embodies the belief that healing is as natural as breathing; she encourages readers to become active participants in the healing process in order to activate their own natural healing capacities. Part of this process involves redefining our relationship to illness and our physical bodies through re-storying. An example of re-storying involves receiving illness as an important messenger rather than a harbinger of suffering. Another is to be both mindful and intentional with the language we use; for example, framing language in a positive way (pro-healing) rather than a negative way (anti-disease) has the potential to greatly transform our relationship to the healing process. In her book, Bennett discusses the power of healing relationships, both with plants and people, and how the beliefs they endorse can either facilitate or block healing. She discusses how choosing the right team, and surrounding ourselves with people and plants who will support and facilitate the healing process is of paramount importance. This essentially allows us to become the sacred architects in our own lives. The bulk of this book is an exploration of the different systems of the body, and is divided into eight sections. Each section begins with a description of the system’s role in the body, followed by an energetic analysis of its purpose, herbal anecdotes, poems, case studies, stories, and herbal monographs. Bennett harnesses the power of story in order to illustrate the ways in which plants are used and implemented. Her style of teaching through stories, anecdotes, and oral tradition renders her information accessible and easily understandable, and makes her teachings both enjoyable and insightful. What I truly love about The Gift of Healing Herbs is that it’s a book that anyone can pick up and instantly appreciate. It is holistic in the truest sense, embracing a multi-faceted approach to healing that includes rituals, intimate plant relationships, a variety of plant preparations, and most importantly, intention. Most refreshingly, this book is not one that is easily compartmentalized into a rigid genre (new age, shamanism, wise woman tradition, etc). Rather, Bennett embraces a multitude of approaches and integrates them into her own unique style of herbalism. If you haven’t read The Gift of Healing Herbs yet, I highly recommend it. 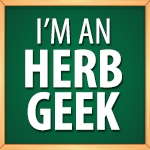 It’s a wonderful introduction to high vibration or intentional herbalism, and will certainly raise the vibration of your herbal bookshelf. But perhaps most importantly, it will help you remember that it is possible to walk a healing path that is in alignment with your own true nature—that unique radiant beauty that is you. Thank you for such a thorough and well considered review Melanie. A really well timed book I feel…and what a gift it sounds to be. You’ve solved my dilemma of what book to read next! Thanks for the beautiful review, Melanie! i ‘ve been looking for a good book about healing herbs and i’m glad i found your review! Around the city of shiraz in Iran there is a lot of medicinal plants that use them to treat a variety of diseases . I would like to send you some medicinal dried plants . you can test them and tell me if need some more. I hope this communication can be base of succesful business and makes cultural communication between us.